The northern enclosure, built into solid rock, was the military section of the Citadel. 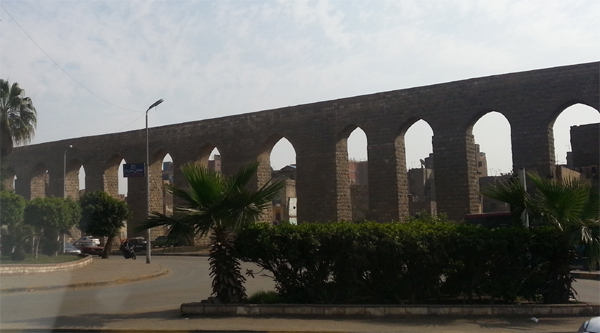 It was connected to the southern one by a gate called Bab al-Qulla, or Gate of the Tower, built by Sultan al-Zahir Baybars. 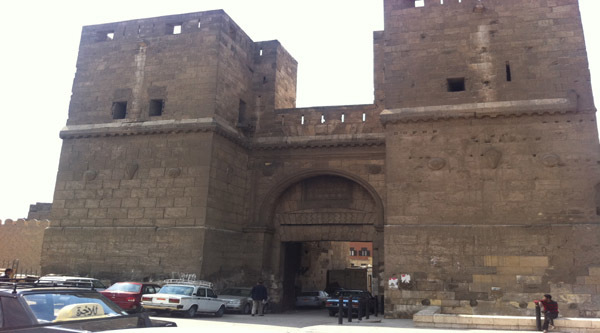 The site of this gate is the same as that where Mohammed Ali rebuilt it in the 19th century. The northern part of the Citadel is an independent enclosure begun by Salah al-Din and completed by his Ayyubid successors, though later periods of history have also left their traces on its walls. This enclosure is an irregular polygon, whose walls and towers measure some 1 700 meters. Some towers are circular, built of dressed stone; others are rectangular and built of embossed stone. The walls and towers here are built on three levels. 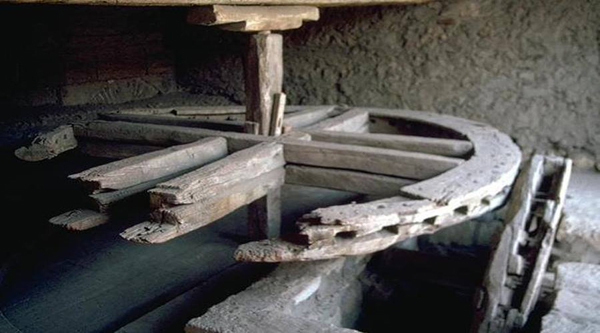 The lower parts are buried today, and excavations are underway to expose them. Each tower is composed of several impressive halls large enough for several hundred soldiers. The function of each rectangular tower was to allow for the separate defense of each section of the fortress. Originally, the northern enclosure had two main entrances. 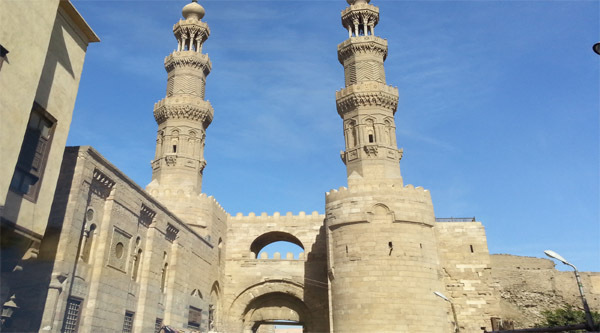 The one facing the city, Bab al-Mudarraj, is today incorporated in the walls and gates of Mohammed Ali and is accessible only from within the enclosure, though the original ramp, cut in rock, still leads up to the gate. The gate has its original foundation inscription naming Salah al-Din and his vizier Qaraqush. The vestibule of this gate has a painted blazon added later by Sultan al-Nasir Mohammed which is the earliest surviving pained blazon. 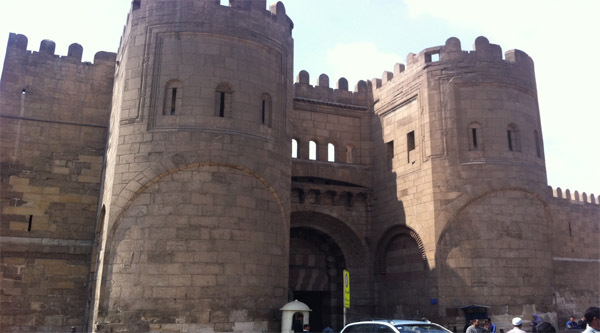 The second gate, Bab al-Gabal, also called Bab al-Qafara because it overlooks the cemetery, is located on the same axis as Bab al-Muddaraj, on the southeast side of the enclosure. Al-Kamil strengthened and enlarged some of the existing towers, and also added a number of square towers which served as self-contained keeps. 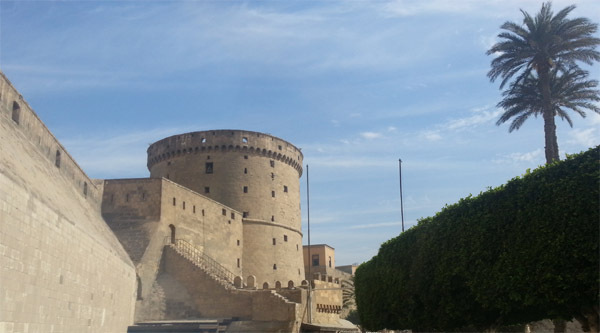 Two of Salah al-Din’s towers (1183–1202) guarding the eastern extremity of the Citadel, the Burg al-Hadid (Gedid) - the Blacksmith’s Tower and Burg al-Ramla - the Sand Tower, were enlarged by totally encasing them in new semi-circular units. In the Burg al-Hadid, Salah al-Din’s original structure, with its cruciform interior, occupies the nucleus of the later tower. Connecting this with al-Kamil’s outer extension are the original arrowslits, now widened to function as doorways, leading into an encircling corridor from which radiates six outer chambers. These chambers contain arrow slits for archers, and on a higher storey the tower is punctuated by alternating arrow slits and machicoulis (projecting galleries from which boiling oil and molten lead were poured on enemy invaders). Salah al-Din’s Eastern Gate was enlarged in like manner to form the double towers of what is now known as the Burg al-Imam (the Rector’s Tower, 1183–1207). 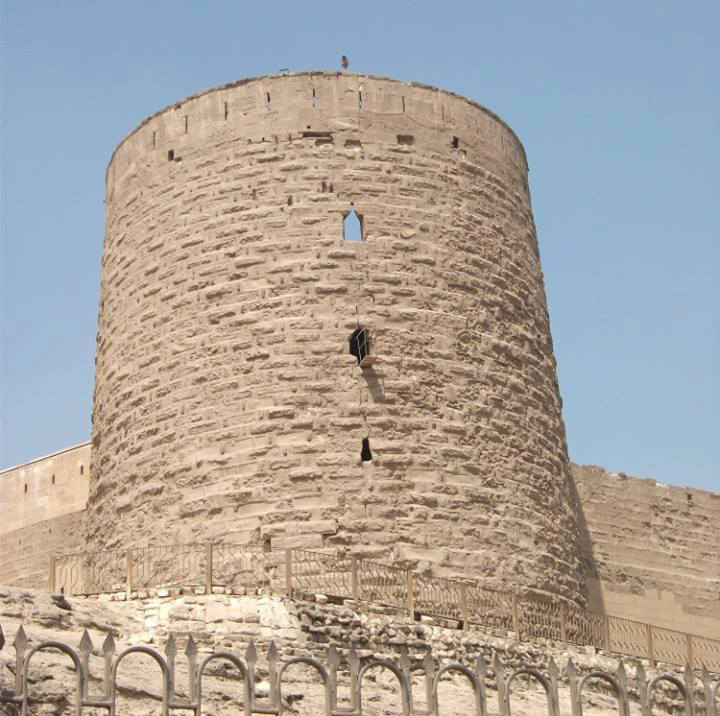 Other strengthening measures included the Burg as Sahra (the Desert Tower, 1183–1207) which was reinforced internally with a square tower to support mangonels. The most impressive of al-Kamil’s structures was the series of massive rectangular keeps which straddled the walls of the northern enclosure. The best preserved are the Burg Kirkilyan (the Tower of the Serpents, 1207) and Burg al Turfa (the Masterpiece Tower, 1207) on the southern side of the northern enclosure. 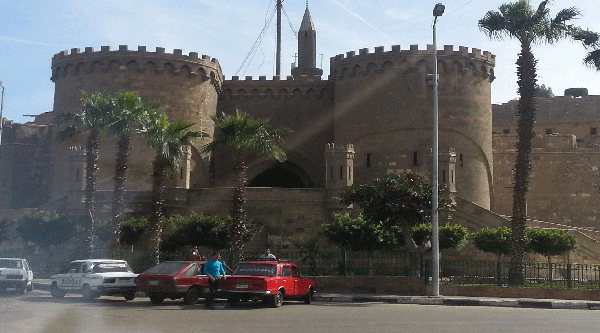 These are self-contained fortresses with numerous halls, barracks and storage rooms. Almost 30 metres square, the Burg at Turfa is the largest. Its plan is divided into two sections with four spacious chambers for archers projecting out of the curtain wall at the front, and numerous halls and rooms behind. Some of the rooms in these keeps served as prisons, and as previously mentioned, the last members of the Fatimid family were imprisoned in the Burg Kirkilyan. All of al-Kamil’s fortifications can be identified by their embossed, rusticated masonry, unlike Salah al-Din’s towers, which have smooth dressed stone.